Silent Sentinel manufacture a professional range of outdoor rugged surveillance cameras that offer dual daylight and thermal cameras. All cameras can be connected to radar or surveillance control systems to 'slew to cue', that means a radar target can be selected and the camera automatically points to the target to help identify it. The range includes short range, medium range, long range and ultra long range. Typical applications include VTS, coastal and maritime surveillance, airports, border surveillance. The camera range includes uncooled as well as cooled cameras in Analog or IP with HD (including HD-SDI) format. The Oculus camera range is designed for short to medium range applications. The Oculus Searcher employs a DRS proven uncooled high resolution 640x480, thermal imager to provide vessel/ vehicle (2.3m x 2.3m) detection at up to 4.7km and man detection up to 2.1 km. A daylight video camera offers simultaneous augmented target identification using a 18x to 40x SD or 30x HD zoom lens. Outputs are available in analog or IP (including HD-SDI). 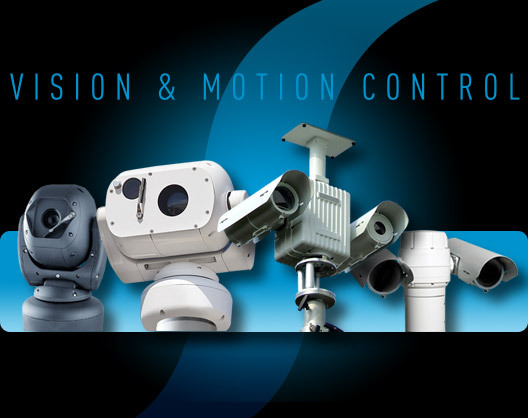 The Aeron camera range is designed for medium range applications. The Aeron Searcher employs a DRS proven uncooled high resolution 640x480, thermal imager to provide vessel/ vehicle (2.3m x 2.3m) detection at up to 10km and man detection up to 3.4 km. A daylight video camera offers simultaneous augment target identification using either a 28x, 36x or 40x standard zoom module or 30x HD zoom lens. Outputs are available in analog or IP (with HD-SDI option). 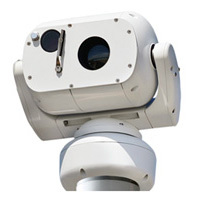 The Osiris camera range is designed for medium to long range applications. The thermal camera employs a DRS proven uncooled high resolution 640x480, thermal imager to provide vessel/ vehicle (2.3m x 2.3m) detection at up to 22km and man detection up to 7.9 km. 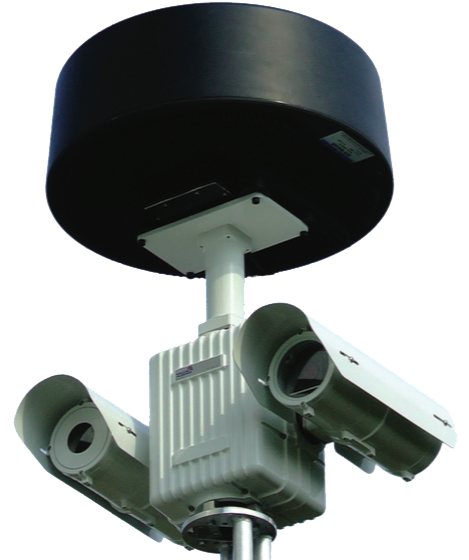 A daylight video camera offers simultaneous augment target identification using either a 40x standard zoom module or 30x HD zoom lens. 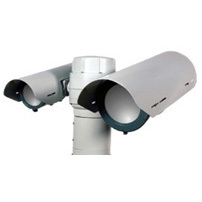 Optionally a 55x or 60x daylight camera can be provided for demanding applications. Outputs are available in analog or IP (with HD-SDI option). 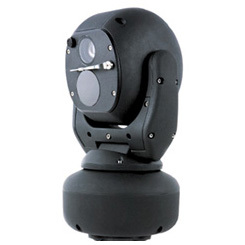 The Jaegar camera range is designed for medium to long range applications. It is designed for heavier loads and has an optional radar mount. The thermal camera employs a DRS proven uncooled high resolution 640x480, thermal imager to provide vessel/ vehicle (2.3m x 2.3m) detection at up to 22km and man detection up to 7.9 km. The Jaegar G5 camera is designed for ultra-long range applications. The thermal camera employs a G5 cooled high resolution 640x512 thermal imager to provide vessel/ vehicle (2.3m x 2.3m) detection at up to 40km and man detection up to 18 km. A daylight video camera offers simultaneous augment target identification using a 55x or 60x lens for exeptional performance. Outputs are available in analog or IP (with HD-SDI option). The G5 is ITAR controlled.